Michael Burns joined the Speech and Hearing Sciences faculty initally as a teaching assistant in 2008 during his Ph.D. program. He taught several graduate and undergradaute courses in the SPHSC department before completing his doctoral program in 2013. 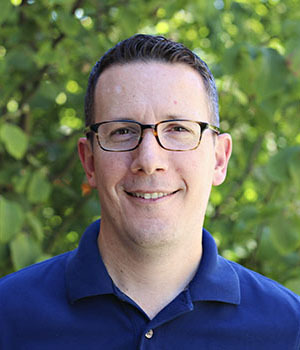 Since then, he has continued to teach courses in the SPHSC department as a Clinical Instructor and most recently as a Senior Lecturer, as well as to supervise graduate SLP and AuD students in the UW Speech and Hearing Clinic. In 2017, he also became the director of the SPHSC Bachelor of Science program. Dr. Burns' research focuses on helping individuals with communication disorders increase their access to quality health care services through improved patient-provider communication during medical interactions. Specifically, this research involves training students and licensed health care providers from different medical disciplines to communicate more effectively when interacting with patients who have communication disorders. To date, this research has trained over 500 medical, nursing, and rehabilitation students at UW. Dr. Burns teaches undergradaute courses on anatomy and physiology of speech production (SPHSC 320) and neuroanatomy and neurophysiology of communication (SPHSC 449). He teaches the SLP graduate Neuroanatomy (SPHSC 501) course, the 2nd year SLP graduate ProSeminar (SPHSC 565) course, and co-teaches a course on improving patient-provider communication for patients with communication disorders (SPHSC 449) open to both undergraduate and graduate students. Dr. Burns also supervises graduate SLP and AuD students in the UW Speech and Hearing Clinic in evaluation and treatment rotations serving adults with acquired neurological disorders.